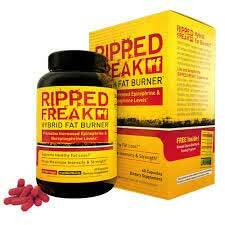 Ripped Freak is a “hybrid fat burner” made in America by Pharma Freak. 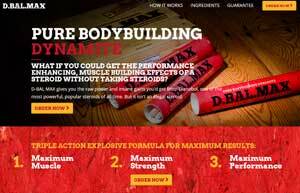 The company has been trading since 2008 and claim to be on a mission to create the strongest supplements in the world. Pharma Freak use the term hybrid fat burner because Ripped Freak is designed to tackle weight loss from a number of different angles. Many diet pills do this though, so it is nothing new. What is Ripped Freak and How Does it Work? Ripped Freak may be designed to target weight loss in a number of ways, but the number of methods involved is very limited. Many competing products offer much more (appetite suppression, fat binding, carb blocking etc.). If the formulation is as good as Pharma Freak claim though, it should speed up the metabolism and help the user to burn calories faster. It should also raise the body temperature sufficiently to encourage thermogenic fat burning and aid the smooth transportation of any released fatty acids into the blood. Caffeine (1,3,7-trimethyl-1H-purine-2,6(3H,7H)-dione): Don’t let the fancy name fool you. This is just normal caffeine. Likely benefits include more energy and increased focus. Scientific study also supports the many claims made for caffeine’s fat burning abilities. Green Tea Leaf Extract (Camellia sinensis) standardized for 50% EGCG: Green tea provides a group of antioxidants called catechins. Scienfic investigation of green tea shows green tea catechins can help the body to burn its fat. Olive Leaf Extract (Olea europaea) Standardized for 15% Oleuropein: Olive leaf extract may be useful for controlling cholesterol levels, but it is unlikely to directly contribute to weight loss. Green Coffee Bean Extract (Coffea arabica) Standardized for 50% Chlorogenic Acid: Although it is a source of caffeine, green coffee bean extract’s fat burning ability is due to a compound called chlorogenic acid. It has a good reputation for getting results and is often used as a standalone weight loss option. CH-19 Sweet Red Pepper Extract (200 mg): A form of capsicum pepper. Some studies suggest supplementation with capsicum may help suppress the appetite, but capsicum is better respected for its prowess as a metabolism booster and thermogenic fat burner. Raspberry Ketone (4-(4-Hydroxyphenyl)-2-methyl ethyl ketone): An extremely popular diet pill ingredient that appears to function both as an appetite suppressant and a fat burner. 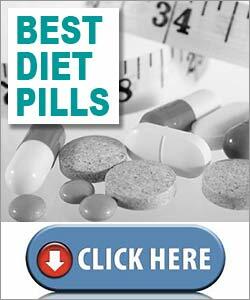 Like green coffee bean extract, raspberry ketone diet pills are available to buy as a one-ingredient weight loss aid. Gallic Acid (3,4,5-trihydroxybenzoate): An ingredient that is believed to be an antioxidant and is occasionally used to treat the symptoms of diabetes. The reason for its inclusion here is unclear. Usage Instructions – Ripped Freak should always be taken with at least 24ml of water. One capsule is required each morning before breakfast is eaten. A second dose may be taken in the early afternoon if required and should be consumed 30 minutes before eating a meal (non-workout days) or 30 to 60 minutes before training is commenced. Ripped Freak should never be taken within 6 hours of bedtime. Customer reviews are a mix of good and bad, but many of the people who left positive reviews admit they received a discount in exchange for sharing their opinion of the product. Many past customers have reported experiencing nasty side effects, so all potential users are warned to play it safe and get a doctors advice prior to using Ripped Freak to help them to lose weight. It is not possible to buy Ripped Freak from the manufacturer’s website, but it is stocked by many independent online stores and can also be purchased via Amazon. At the time of this review the Amazon price was $34.05 (other currencies available) per 60 capsules. Ripped Freak is sold without a money back guarantee. The formulation contains several good ingredients so it is possible people who use Ripped Freak may burn fat and lose weight. But the fact that many customers say it does not work, while other claim it does, makes it sound a bit hit-and-miss and there is no money back guarantee. So customers who find the product is not hard hitting enough to burn away their fat will be left high and dry. It would be unfair to dismiss the claims made for Ripped Freak entirely, but it is true to say there are better options available. We recommend PhenQ – whether you are in search of a supplement that will help you with your workout to help with the cutting process or you simple want to a lose a few pounds PhenQ is ideal. 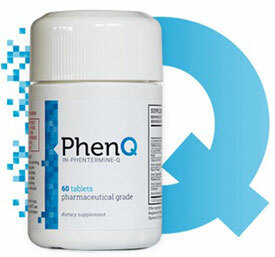 PhenQ is available without a prescription and can be ordered directly from it’s own official website. When it comes to safe and natural ways to boost muscle growth and improve athletic ability, niacin (Vitamin B3) is in a class of its own and it’s not just athletes that can benefit from this versatile nutrient. Niacin is included in everything from energy drinks to nootropic supplements. Want to know why niacin is so important? Read on. . .
Niacin is necessary for metabolizing carbohydrates into the glucose that is needed to fuel the body’s activities, so supplementing with niacin can be a good way to give energy levels a boost—especially during periods of exercise. The relationship between niacin and carb metabolism also explains the vitamin’s popularity with energy drink manufacturers. NiacinMax is now available – easy to use strips that melt on your tongue providing you with the best available daily dosage of niacin. The body uses niacin when it is manufacturing red blood cells. These cells serve many functions in the body and a sufficient supply is necessary when the blood needs to clot after a cut or other injury. Red blood cells are also responsible for carrying oxygen around the body. All the organs, including the brain, need a sufficient supply of oxygen to function properly. The muscles also need oxygen and the amount they require increases considerably during periods of exercise. Although the red blood cells have the job of transporting oxygen around the body, their value is dependent on the cardiovascular system’s ability to transport them to where they are needed. 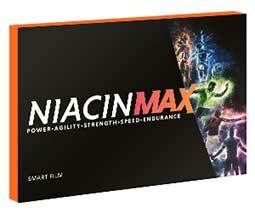 Niacin aids this by enhancing a natural process known as vasodilation. 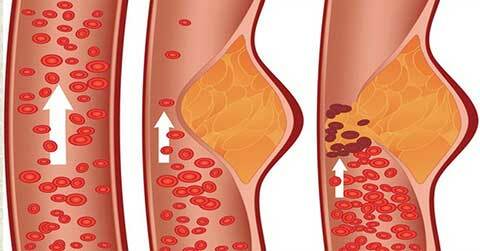 Vasodilation occurs when the walls of the blood vessels relax and dilate, allowing the blood to flow a little more easily. This improvement in circulation occurs as a direct response to exercise, but niacin has the ability to improve it. This is a fact that has been scientifically proven and it is not an ability to be sniffed at because vasodilation offers many benefits that increase athletic performance and provide increased muscle mass. The brain gets more nutrients and oxygen (from the blood). This boosts mental focus and helps empower a superior workout. 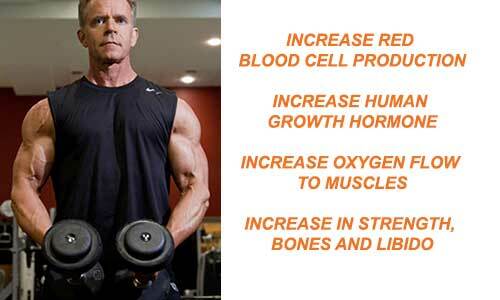 The extra oxygen and nutrients provided by the blood allow the muscles to be worked harder and longer. The improved circulation helps purge the muscles of lactic acid and other chemicals that are generated within them while exercising and may limit training ability. HGH is manufactured in the body by the pituitary gland. The benefits it provides are many, and it is often praised for its anti-ageing abilities. If, after reading the above list, you are thinking about all the people who are struggling to have the body they want, and wondering what went wrong, the answer is simple. Once the adolescent years are out of the way, the body begins to cut back on HGH production and, by the time most people reach their mid-20s, the amount of HGH circulating their body will have diminished considerably. The rich and famous often try to rectify this by injecting synthetic HGH into their bodies and, the truth is it does work, but it can also damage the health. It is far safer to encourage the body to start creating more of its own HGH. Research shows niacin has the ability to do this, and increases of 600% or more are not uncommon. Several studies, including one conducted in 1993, by researchers in Denmark, prove niacin has the ability to boost HGH production rates. The clinical trial conducted in Denmark was carried out over a four week period and the group that was given 350mg of niacin per day showed an average HGH elevation of 400%. The HGH level of the placebo group showed no significant change. The results of a study published in the scientific journal Hormones and Behaviour, reveals niacin can boost HGH by over 600% if it is taken within a few hours of exercise. The reason for this remains unclear, but there is no disputing niacin’s value as a bodybuilding aid and an athletic ability enhancer. When people first begin taking niacin supplements they often experience a short-term reaction called “the niacin flush”. The skin begins to fell a little warmer and start to flush. It may also feel a little itchy. The niacin flush does not present any dangers, but anyone who is not expecting it may get a bit of a scare. The effects wear of quite quickly though, and some people even enjoy feeling a little flush while they are training, so there is nothing to be afraid of and some of the best niacin supplements cause very little flushing at all. Bearing in mind the many benefits niacin offers, a little flushing of the skin is nothing. Especially when compared with the dangers faced by people using synthetic HGH. Dianabol is one of the most powerful bodybuilding steroids in the world, but its use is illegal and can result in dangerous side effects. However, its legal status and potential for harm have done little to detract from its popularity. Many bodybuilders are still using Dianabol and still more are searching for a reliable supplier. A better, safer alternative is much needed and Bauer claim to have provided the answer. According to Bauer, their D-BAL MAX Dianabol alternative can provide the same performance enhancing and muscle building benefits as the steroid, but without any of the side effects. DBal Max is available exclusively from it’s own official website. Despite it’s very macho and male oriented packaging and website it is suitable for both men and women. The current best offer is the 12 tube package which equates to around £15 per tube. The capsules are designed to provide an anabolic environment that is perfect for supporting the fast growth of quality muscle tissue, while also improving strength and performance. How will the Promised Benefits be Achieved? Increasing protein synthesis: Protein synthesis is the process by which the body uses protein to repair and rebuild damaged muscle fibers. Reducing Serotonin Levels: When the muscles are put to work the brain increases serotonin (hormone) production and this leads to feelings of fatigue. So any formulation that can delay the process should allow the user to work their muscles for longer periods of time. Increasing ATP: Adenosine Triphosphate (ATP) provides energy at the cellular level. It is so important the body cannot function without it. Boosting Testosterone levels: Testosterone is crucially important for muscle growth and providing strength gains—hence the popularity of testosterone-boosting supplements. Increasing the production of IGF1: Insulin-like growth factor (IGF1) is needed for muscle hyperplasia—a process that encourages the growth of new, stronger cells within the muscle tissue. How Does this Compare to Dianabol? In theory, D-BAL MAX should be able to mimic the effects of Dianabol, but the level and extent of results provided will ultimately be reliant on the quality of the ingredients used in the formulation. 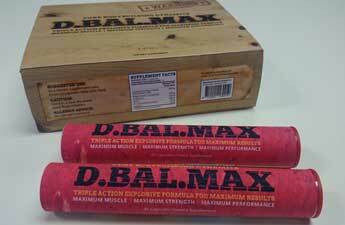 What are the Ingredients Used in D-BAL MAX? 20-HYDROXYECDYSTERONE: A plant extract that is highly praised for its muscle building abilities. Studies show it supports the bodybuilding process by increasing protein synthesis. 20-Hydroxyecdysterone also encourages nitrogen retention. This is a valuable asset because nitrogen levels often become depleted during workouts and this can interfere with protein synthesis. 20-Hydroxyecdysterone is also deemed useful for boosting ATP, so its addition here has a lot of merit. PRO BCAA COMPLEX: Branched Chain Amino Acids (BCAAs) are essential acids derived from protein. They are easy to absorb and fast acting. BCAAs are useful for reducing fatigue while training, improving protein synthesis, and restricting the amount of serotonin that is produced when the muscles are being exercised. WHEY PROTEIN COMPLEX: A popular ingredient that provides the body with a source of easily assimilated protein and amino acids. Whey’s reputation as a muscle food is second to none. What do Past Customers Have to Say About D-BAL MAX? No side effects have been reported, and it is improbable any of the ingredients used in the blend will present issue, but D-BAL MAX is unlikely to be suitable for pregnant or breastfeeding mothers. People who have known health problems or are taking medication(s) should consult a doctor before taking D-BAL MAX or any other brand of supplement. Customers who return their empty and unopened bottles of D-BAL MAX within 60 days of purchase can have their money back. D-BAL MAX is definitely worth trying. The blend contains some good ingredients, that should be able to provide similar results to those experienced by Dianabol users, and side effects do not seem likely. Bauer’s generous guarantee means buyers have nothing to lose by trying the product and many people who have already used the product swear that it works. 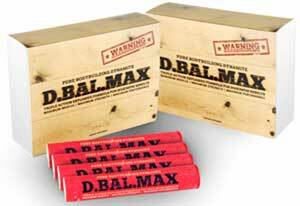 Where Can I Buy D-BAL MAX? You can only buy D-BAL MAX from the official website. Customers who place larger orders are rewarded with extra pills. Postage is free within the UK and America.